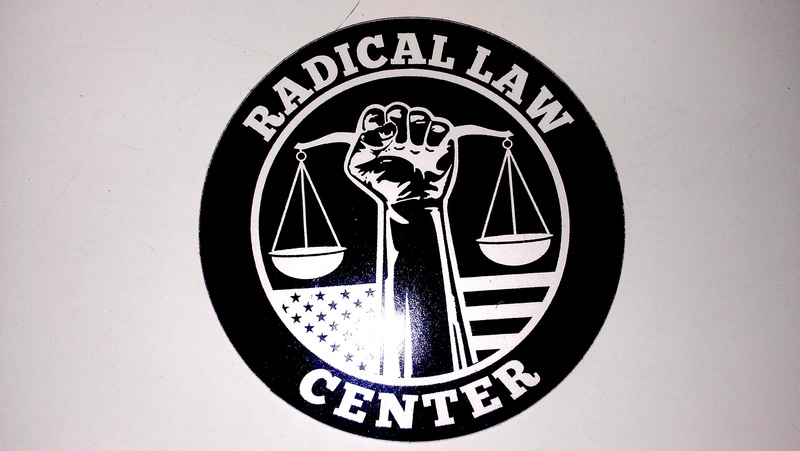 Radical Law Center T-shirts are now available! Choose the size and color below. If your particular choice is not available, it can be ordered. Include contact information with your order so we can let you know what is in stock. Radical Law Center T-shirts, sweatshirts, and stickers with the “Fist of Justice”™ logo now available! Radical Law Center 7336 Santa Monica Blvd., #666, West Hollywood, CA 90046. Send one dollar for each additional sticker.